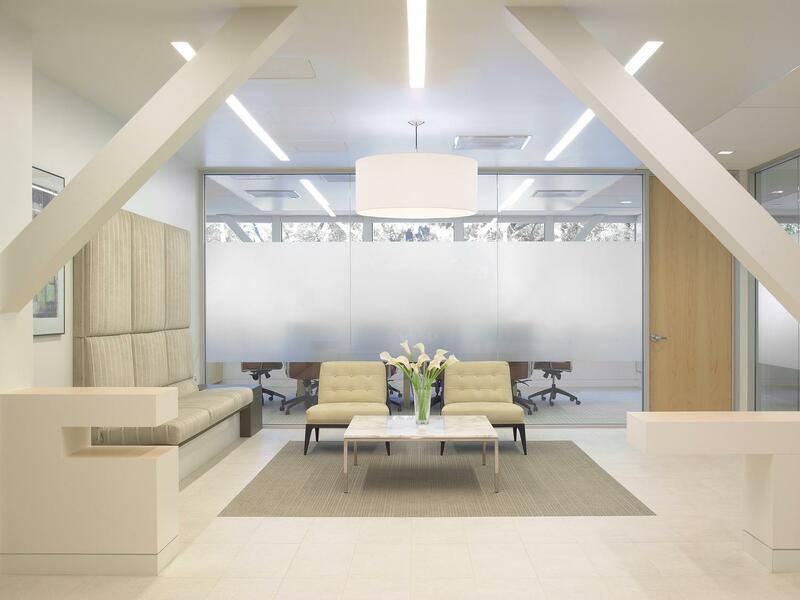 Kenyon & Kenyon, a leading intellectual property law firm, required an elegant design for their 12,000-SF office relocation from San Jose to Palo Alto. 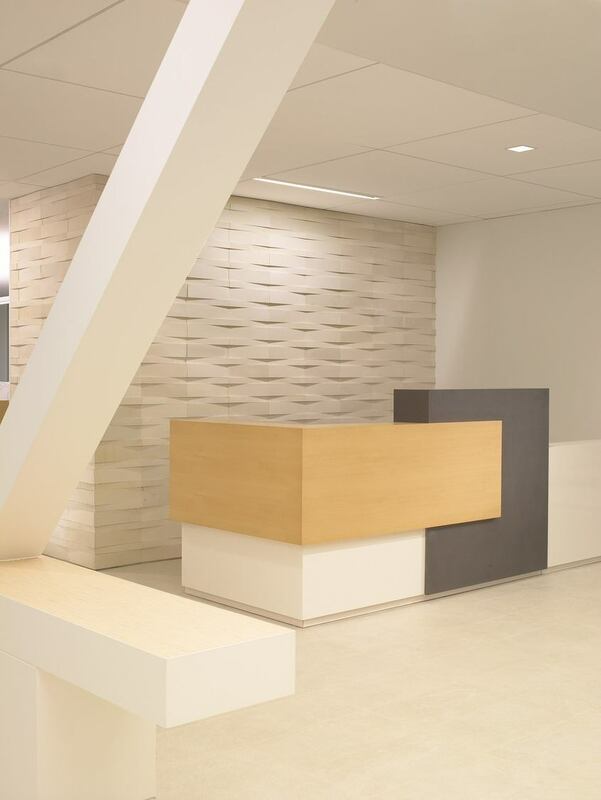 Custom millwork along the reception desk and exposed seismic braces elicit a clean but modern aesthetic. 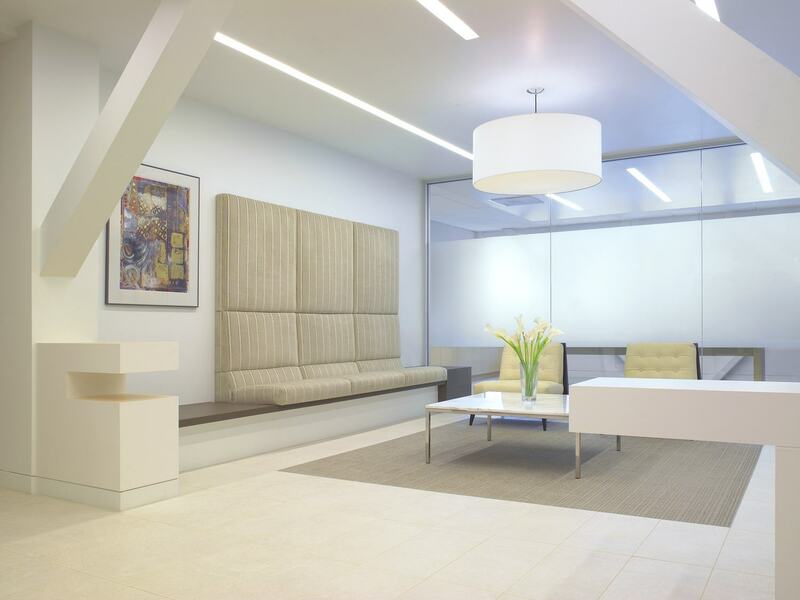 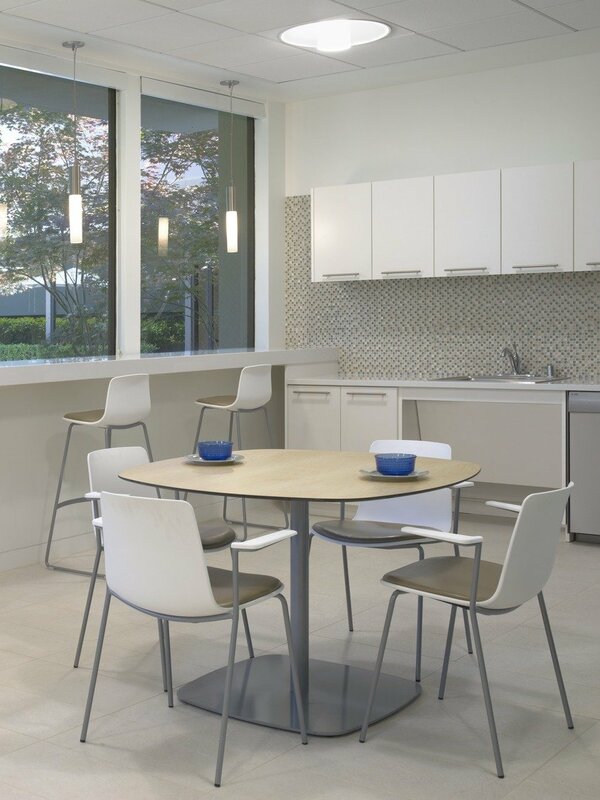 Glass partitions on the conference center and perimeter offices optimize daylight and views.